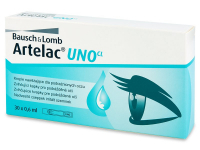 Artelac UNO moisturising drops from Bausch and Lomb are designed to refresh tired and irritated eyes. They are also suitable to enhance the comfort of contact lens wear. 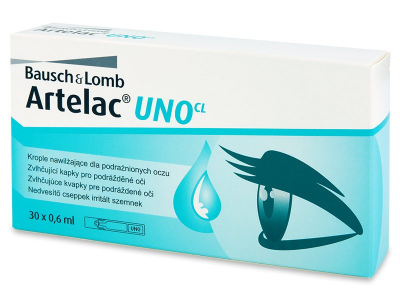 Artelac Uno drops are preservative-free, so they are ideal for users with sensitive eyes. Artelac UNO eye drops have a very practical and hygienic method of application. Each pack contains 30 disposable vials, so each application is perfectly sized and sanitised for your comfort and convenience. The drops are applied in a conventional manner by dispensing the drops into the conjunctival sac (the area between the eyeball and the lower eyelid) and then blinking to spread the substance over the surface of the eye. Each disposable vial contains 0.60 ml of solution. Hi, Maritha, UNO drops contain no preservatives, so they are more suitable for those with sensitive eyes.